graphic design Archives - Go Creative Go! Design Discussion Keeps Projects On Track! http://www.gocreativego.com/wp-content/uploads/2016/05/GCG-pinnable-design-discussion.jpg 1080 735 Mallie Hart http://www.gocreativego.com/wp-content/uploads/2016/07/GCG-sitelogo-new.png Mallie Hart2016-05-10 08:12:112016-08-07 20:01:08Design Discussion Keeps Projects On Track! Smart Search Skills Make Stock Photo Selection Stellar! http://www.gocreativego.com/wp-content/uploads/2016/02/GCG-pinnable-stellar-stock.jpg 1080 735 Mallie Hart http://www.gocreativego.com/wp-content/uploads/2016/07/GCG-sitelogo-new.png Mallie Hart2016-02-11 11:22:232016-08-22 13:24:18Smart Search Skills Make Stock Photo Selection Stellar! 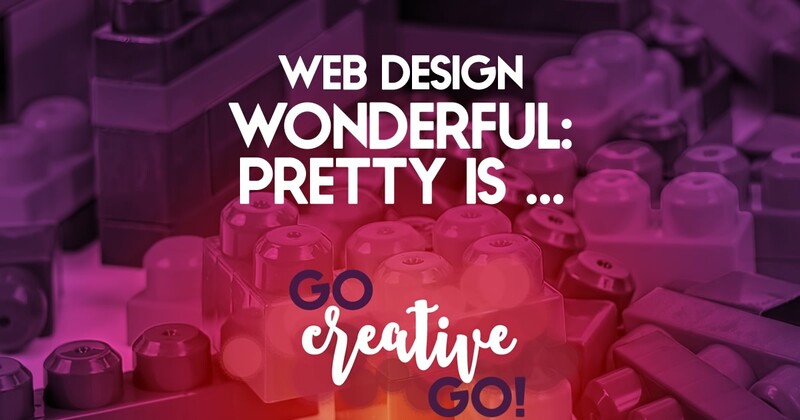 Web Design Wonderful: Pretty Is As Pretty Does! Note: You HAVE TO channel Yoda and read that subtitle out loud! It’s Wednesday! And that means it’s time for another round of my new weekly series, Web Design Wonderful. In the second installment of this series, I’m going to take a look at web design and development as a balanced approach between form and function, or pretty and performance. In the fast paced and ever growing and changing digital marketing space, we seek to measure everything. It’s a compulsion. ROI must be recorded, every click accounted for. Where does pretty or appearance fit into ROI and measured performance? You might be surprised. No, I can’t provide you with a case study or any carefully calculated numbers, but word of mouth research and response has shown that “well designed” sites keep visitors around. You have only so much time to make a great first impression. Seconds really. What do people notice in those few first seconds? Color, I’d say. The overall aesthetic and layout, I’d also guess. It’s what I notice. Functional elements are what they’ll see after the first impression tells them whether to bounce or settle in for a longer looky-loo. And if those functional elements are lacking, they’re likely to leave. But first your site has to pass the “professional” first test. If, like me, you’re using pretty as a short and sweet term to describe the appearance and design aesthetic of a site, then, YES. If pretty, instead, means pink and princessy, fluffy and flirtatious, not so much. 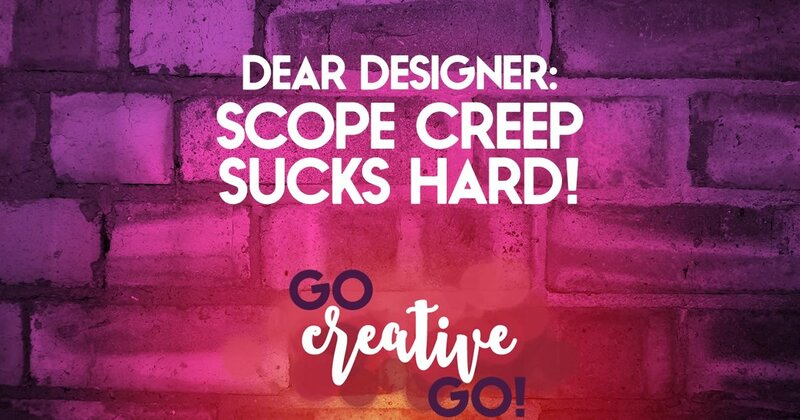 I’ve stated previously that what one designer considers “good design,” another might dislike and despair. Personal preference, and even personal experience, plays a large role in what our eyes behold has pretty or professional. Yet, websites and web design are not new concepts and we’ve all seen plenty of iterations over the years. Our eyes readily rack-up what we consider outdated and old school. Clashing colors, lack of white space, illegible type selections … all make an immediate impact, though a negative one. Once your site passes the initial pretty/professional test is when performance and function must step up to the plate. Can site visitors easily get to the good stuff or do they feel lost after a few clicks? Are they bombarded with a new and different pop-up every time they scroll or click? Are they offered opportunities to dig a little deeper into who you are and what you do? With those three actions in mind, it’s important to consider your CTAs (calls to action). Are they carefully crafted (words), well designed (eye-catching and memorable) and well developed (actually leading your visitor and prompting them to take action)? And I haven’t even mentioned mobile, yet. Does your web design sell and succeed on the smaller screen? Your website is your digital storefront or office space. What a prospect would expect to do in person, face to face, your website should also allow and make easy and intuitive. Functionality works with form to make this happen. That carefully selected font draws the eye and allows readers to skim when correctly set-up in your headers. Buttons, arrows and other visual elements, while eye-catching, won’t convert if they don’t correctly deliver data or drive the next interaction. The prettiest custom-designed social sharing buttons don’t help at all if they’re not properly formatted for the specific social media platform. Like the nettles in this article’s imagery, pretty without performance can be painful. While the blue hue is lovely and the shape enticing, a quick touch is not so pleasant. If your site leaves prospects and peers uncomfortable and in pain (because they can’t do what they expected to do), despite its lovely appearance, the balance is off and the site isn’t benefiting your business. The pretty/performance ratio isn’t always going to settle at 50:50. You must carefully consider the intent and purpose of your site and the actions you would like visitors to take in order to create the balance that best suits your brand and business. http://www.gocreativego.com/wp-content/uploads/2015/06/GCG-pinnable-pretty-is.jpg 1080 735 Mallie Hart http://www.gocreativego.com/wp-content/uploads/2016/07/GCG-sitelogo-new.png Mallie Hart2015-06-17 07:30:162016-10-07 17:05:10Web Design Wonderful: Pretty Is As Pretty Does! When we think about design, numerous phrases come to mind: interior, graphic, web, etc. But when I say the words “social design”, I often get quizzical looks. Then the questions start. Oh, you mean my logo? Oh, are you talking about my Facebook cover? Oh, okay! We’re discussing my blog header, right? Yes, but there’s so much more! Sure, your colors, fonts, taglines, avatars and identity images (logos and headshots) play a huge role in social design. Of course you want your brand to be represented. But your brand is a whole lot more than the tangible, visual elements I just listed. Your brand also has a personality and tone. This personality and tone must be reinforced in a variety of post types across a multitude of social media platforms. 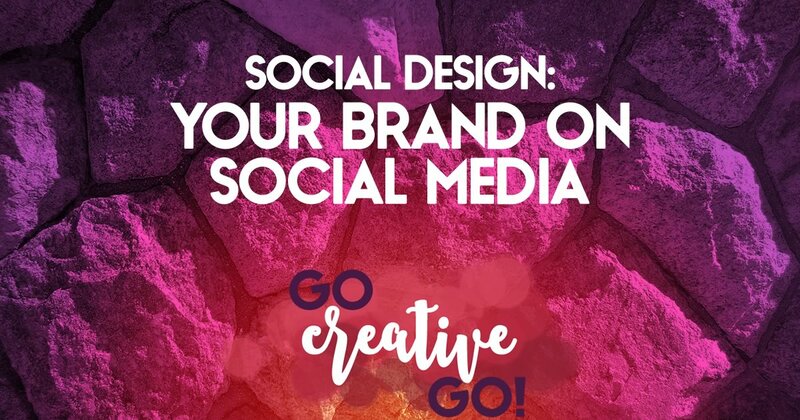 Your brand must shine in short form bursts on Twitter, as well as the longer posts, questions and discussion – often with images – you share on Facebook, AND the still longer discussions and sharing of ideas when you publish via your blog. The content your create and share (because we all know we can’t create it all) is also part of your well designed social business presence. Carefully reading and vetting the content of the authors with whom we are connected, we then must carefully choose the articles and ideas based on ideas, outlooks and concepts that are similar to our own. The connections we make and build with others influence the future connections we will make, and, thus, the future content we’ll share. So, social design has to be fluid – as we will all continue to connect and build new relationships as we grow our own presence. How does one maintain a focused brand identity with the constant change and flux that is social business? It’s a topic we’ll be digging into in future articles and discussions. While there are purely visual elements of your brand, and it’s very important to keep them focused and cohesive across platforms, as we stated above there’s much, much more. Your brand is the foundation, the bricks and mortar behind your business. It’s made up of so very many elements, from your logo to the people you hire or with whom you choose to collaborate. We look forward to digging a little deeper and sharing many thoughts and ideas that will help you solidify and strengthen your brand across your varied digital marketing hubs. No, We Can’t Design A Logo For $50! Especially when it comes to logos. It’s time to explain why OH why we can’t knock out your logo for tens of dollars! A logo is just one small part of your brand. It’s not a brand in entirety, but we believe that most entrepreneurs would admit that a logo is one key element when it comes to branding, marketing and recognition. We consider your logo a “foundation” piece in your overall branding, messaging and marketing plan. It plays a huge role in both print and digital applications, requiring differing file types, permutations and more. When we deliver a logo, we factor in all of those permutations. Meaning? It’s not a one file fits all delivery. You might need a logo in limited colors for certain print applications. We make sure that’s a possibility. Need it to work in black and white? Factored in. Need both portrait and landscape iterations? No worries. Need it to be scalable for a variety of digital and print applications from business cards to billboards? We make it happen. As you can see, it’s not an easy 1-2-3 and done, simple design solution. But there’s even more. Want that tagline used with the logo? Has to be legible doesn’t it? We have to factor in kerning, line spacing, readability and more. Using a script font? Will it work in all sizes? We have to check, some don’t flow as well the bigger they get. Want it bold or ALL CAPPED for specific purposes? The font has to allow for that. The smart logo designer has to understand typography, color theory, color connotation, scalability, digital and print application and so much more. So, no – we can’t design your logo for $50.00. Hopefully, you now understand why.